High performance, white cementitious adhesive for ceramic tiles, fortified with acrylic resins. The product has an extended open time and minimal vertical slip. 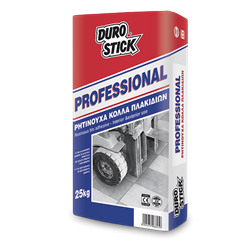 Provides high adhesive strength and it is distinguished for its high initial and final adhesive strength, as it offers unbreakable bonding to the substrate. Once cured, the adhesive is resistant to moisture and frost. Suitable for small and large size tile installations on floor cement screeds and plastered walls, both indoors and out. Classified C2E per EN 12004.